Black history board games offer a great way to learn about Black history, either during the Black history month of February, or year round. Board games in general are an excellent way for families to play together, and a great alternative to television sets and video games that have become all too common in most American households. One of the benefits of board games is the educational aspect that many promote, since children can learn as they play. Recently, the development of Black history board games has been an exciting development in the board game market. These games teach children about African American heritage, leaders, and culture. These board games range from Monopoly-like entrepreneurial games to games that draw upon the storied history of Motown music. Check out these great Black history board games for an exciting evening with the television turned off! 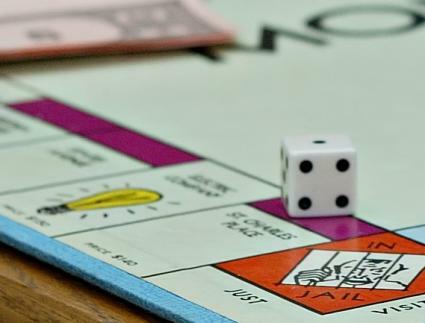 Motownopoly: Monopoly has been a popular board game ever since its invention during the Great Depression. The most widely played board game in the world gets a bit of Black History treatment in the form of Motownopoly, a game that allows families to experience the rise to the Presidency of Motown, or the rigors of touring with the Motown Revue. The Motown soundtrack that comes along with this game makes this game even more fun and educational! Your family can relive the past, and some of the greatest achievements of African American artists in Detroit, with Motownopoly. Journey to the Motherland: Trivial Pursuit, Pictionary, and charades all come together in the form of the Journey to the Motherland board game, suitable for everyone from "little brother to Grandmother." This Black History board game allows players to explore the history of the African American people who helped build the foundation of the United States of America. Not only will you be able to enjoy a night with family and friends, you'll also be able to walk a mile in the shoes of great leaders such as George Washington Carver and Martin Luther King Jr. The unique experiences of African Americans, from the early days of American history to today, are relayed in the form of Journey to the Motherland. The Pleasures and Perils of Five Colored Girls: Young ladies will all find something to love in the tale of Five Colored Girls, a board game that chronicles the lives of African American women. With this innovative Black History game, players can choose one of five different black women who want to pick up the pieces of their lives and achieve success. Clever and sarcastic, Five Colored Girls is best played by young adult or adult women (although men can join in the fun too! ), due to some of the difficult choices each player is required to make. However, older players will laugh at the inventiveness of gameplay-for example, each round is played based on hairstyles, from "extensions" to "natural" to "nappy." Five Colored girls is both controversial and endlessly fun. The Black Heritage Trivia Game: Test your knowledge with this great game of African American trivia! The scientific discoveries, social movements, political careers and historical advances made by African Americans are all present in Black Heritage Trivia, which follows the exciting and difficult history of blacks in the United States from 1619 until modern times. Over two hundred question cards are included with the game board, so the game will be fresh and exciting every time you play. Children over age ten, teenagers, and adults will all enjoy this challenging board game! Blackboard: This Black History board game is a unique political and social take on African American culture. Players can escape slavery, run away from Murphy's Law, and experience the pressures of Reaganomics, all while learning a little bit about the experiences of blacks in America. Questions for each square require knowledge of many relevant areas of Black History; for example, you'll need to know a little bit about entertainment, science, art, politics, and literature in order to advance. However, the game allows even inexperienced players the upper hand using elements of chance.